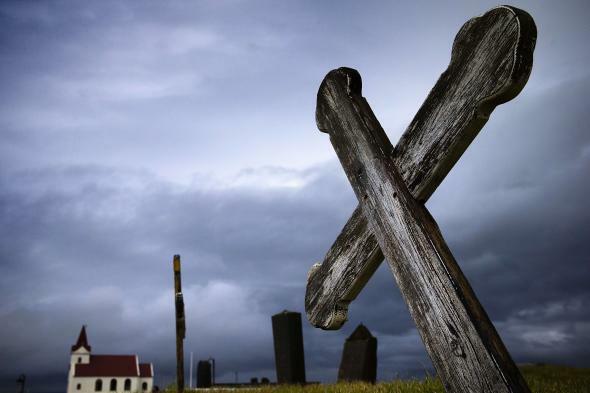 Icelanders form new religion Zuism to protest state support of religion. In Iceland, individuals are required to register their religion of choice with the government and each year the state provides these chosen faiths funding from the taxes it collects from the good citizens of the country. That might not seem like much of a problem if you’re an ardent supporter of the Evangelical Lutheran Church of Iceland, which claims the allegiance of nearly three-quarters of the country. But some citizens aren’t too fired up about parting with the equivalent of $80 a year to support the more than 40 state-acknowledged religions they don’t believe in, according to the Guardian. To express their displeasure, these folks are fighting religion with religion and have started a new church of sorts called Zuism to protest the state funding of its competitors in the faith department. The religious organization of Zuism is a platform for its members to practise a religion of the ancient Sumerian people. Zuists fully support freedom of religion, and from religion, for everyone. The organization’s primary objective is that the government repeal any law that grants religious organizations privilege, financial or otherwise, above other organizations. Furthermore Zuists demand that the government’s registry of its citizens’ religion will be abolished. The organization redistributes the government’s annual financial support equally to all members of the congregation… The religious organization of Zuism will cease to exist when its objectives have been met. Free money! That’s a religion with some crossover appeal. In fact, more than 3,000 Icelanders have signed on to Zuism, according to the Guardian, which isn’t too shabby when you consider it amounts to almost 1-percent of the country’s population. Before Zuists spend all of their recouped cash, however, the notoriously sober Icelandic taxman points out to the Iceland Monitor that those returned funds would also be subject to income taxes. God versus taxes in a steel cage death match.